According to a report by the Wall Street Journal last night, we have another bidder for the GFI Group, after the CME had already announced its acquisition intentions in July. Sources close to the matter claim that BGC Partners Inc will make an all-cash $675 million unsolicited offer. That totals to about $5.25 a share, in an all-cash deal. In light of GFI’s recent agreement to sell itself to Chicago exchange operator, CME Group Inc, we could be in for a bidding war. The move comes after the CME Group offered an all-stock deal totaling $4.55 a share for the acquisition of GFI’s Trayport and FENICS units. The strategic transactions in order to make the deal possible, included the full acquisition by the CME Group of the GFI Group, with the price paid for the takeover at a 46% premium above the company’s closing price on the day before the deal was announced. According to the previous agreement between the CME and GFI, a private consortium led by GFI Group’s management would buy back the wholesale brokerage of GFI for $165 million in a cash deal from the CME Group, assuming about $63 million of unvested deferred compensation and other liabilities. According to the arrangement, the brokerage’s business would continue using FENICS and Trayport by entering into long-term commitment agreements. Following the announcement, BGC’s shares fell 1.6% at the close of New York trading, while GFI’s rallied more than 10%. The CME Group’s daily market performance was more or less unchanged. According to the sources cited by the WSJ, BGC partners already owns close to 14% of the company’s float. 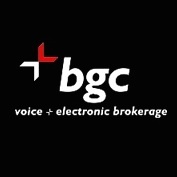 With the sale of electronic trading platform to US Treasuries eSpeed to Nasdaq OMX Group Inc. last year for $1.23 billion, BGC Partners has the cash in hand to purchase GFI. Yet a deal depends on the CME Group deciding whether to leverage its size on this deal and commit further.